Every spring Indiana Landmarks and the Indianapolis Museum of Art (IMA) team up to deliver an incredible weekend of modernism. 2011 shows no signs of let-down. At all. Strap in and let's run through this. 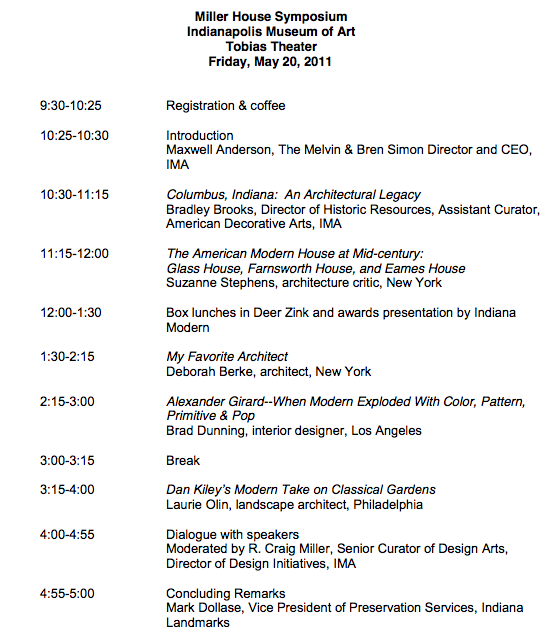 It all kicks off on Friday May 20th at the IMA with the Miller House Symposium. A day-long event filled with epic goodness. Cost: $30 for IMA members. $40 for non-members. $25 for students. Get tix here. 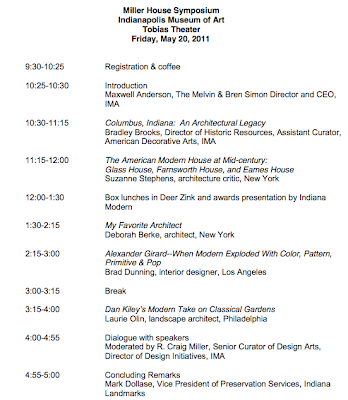 As a bonus, on Saturday May 21st, IMA is conducting a special tour of Miller House in Columbus, IN. Tour is reserved only for cats cool enough to register for the symposium. Cost of this special tour is $50. Get tour tix here. Asking if it's worth it? 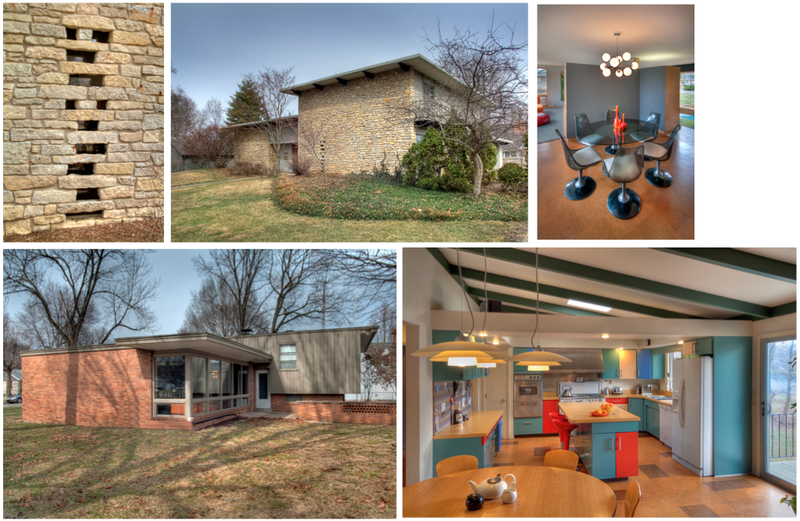 Check this: Miller House was designed by Eero Saarinen. Interiors by Alexander Girard. Landscape by Dan Kiley. I cried the first time I walked in. So worth it. If you'd rather visit Miller House on a different weekend, tours can be reserved at the Columbus Area Visitor's Center. 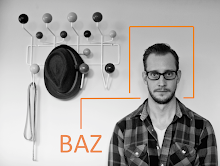 "Like" the IMA's Design Arts Society on Facebook to be scooped on more mod design events. 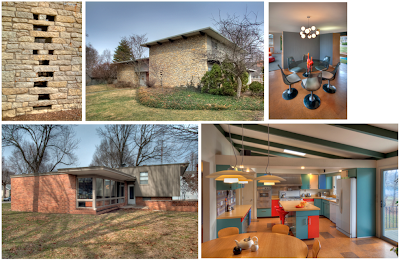 After being thoroughly seduced on Friday, the Indiana Landmarks "Back to the Future" home tour action goes into full-swing on Saturday May 21st, 1p-6p in the Mid-West's version of Palm Springs - the modernism mecca known as Columbus, Indiana. Cost: $12 in advance. $15 day-of. Get tix here. Or at select retailers. Tour Headquarters is the Saarinen-designed North Christian Church. It'll be open for tours. And will make you believe. Located at 850 Tipton Lane, Columbus, IN. I already have my Miller home tickets, but I wasn't aware of the Back to the Future home tour. Thanks for the heads up! Doesn't anyone have anything to say about the tour? How was it?!?! Would love to go on this tour. Definitely worth the price.